Wanting a roofer in Horsforth? Horsforth is the home to many a varied roof - both pitched and flat. From post war concrete tiles through to beautiful Welsh slate roofs, flat roofs in bitumen and felt and then newer materials such as fibreglass. Whatever you roof is covered in, and whatever its age and condition, we can help. We come to you with more than 30 years experience. Experience gained on virtually every kind of roof and one which has allowed us to develop a superb reputation for affordable quality and a long lasting result. 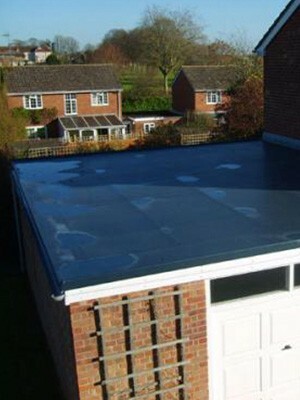 To give you the peace of mind that we know you demand, we offer our own personal roofing guarantee on every job we do. We're confident that you'll have no need to call on the guarantee, such is the quality of our work. However, it's there for that 'just in case' moment. In short, if you have a home or business in Horsforth, we believe we make the ideal roofer of choice, no matter what it is you need doing. Why not get in touch and we'll happily visit you to provide you with a firm quotation which comes, of course, without obligation. Call us today on 0113 370 9019.